I got a “Line Notes” email from the stage manager of the play in which I am appearing, “Harvey.” This email had a document attached for each cast member, featuring specific words each of us got wrong in the previous evening’s rehearsal. I evidently made the tragic error of saying, “Mr. Dowd, what sort of man are you?” instead of the obviously better “Mr. Dowd, what kind of man are you?” Also recorded there was my wanton disregard for the written script as I said, “Mr. Dowd, is it true that he has a purpose?” when the whole world knows I needed to say “Is it true that he has a function?” Punish me now. Guilty of sarcasm in the first degree. Or at least sorta kinda failing to function on purpose. I’ve been thinking a lot about scripts lately. For much of this year, one script or another has been my near-constant companion. First it was Harold Pinter’s short “Precisely” script then the very long “After the End of the World” script by Peter Barnes. 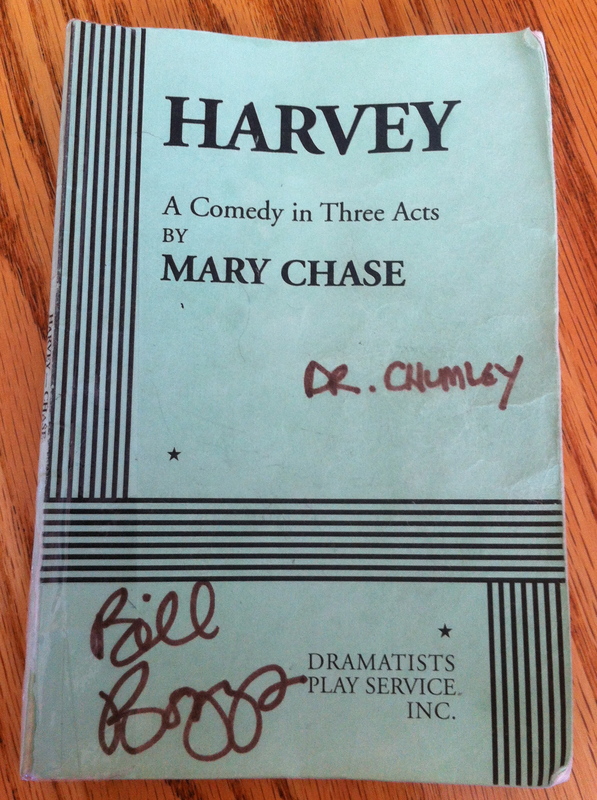 And now, it is Mary Chase’s funny and complex “Harvey” script. Yet in a broader sense, I live by scripts. My very life has a script. Or it had one. And I might be just as prone to wandering off that thing. We’ll get to that. What is a script? Sorry…I have this little habit of stopping to define relatively common words just so I can make sure to capture any elusive nuances of meaning. A common flaw of an ink-slinging word-wrangler, I expect. A script, according to my hero Webster, is “the manuscript of a stage show.” Hmmm….no nuances there. That was hardly worth it. Yet simple and true enough. There’s so much more to it though. A script is a detailed map, a blueprint, a plan, a set of expectations, a diagram of expected behavior, and a set of crutches. It’s like one of the public speaking delivery methods I taught my students. The “manuscript” delivery is a method I do not allow in class because it involves reading a speech word for word from a prepared manuscript, not unlike a play script. I don’t allow it because it removes the opportunity for creative interaction with an audience, sort of semi-shuts off the brain in the speaker (hence the crutch), and short-circuits the chance to improve communication by responding to feedback from the audience on the fly. I like on the fly. It’s a comfortable place for me. Yet each of my recent play scripts includes every word of dialog for me and other characters plus stage movement directions, set information, and sometimes the playwright’s vision for how a character looks. Invaluable information for the actors, directors, producers, and set builders, true enough. 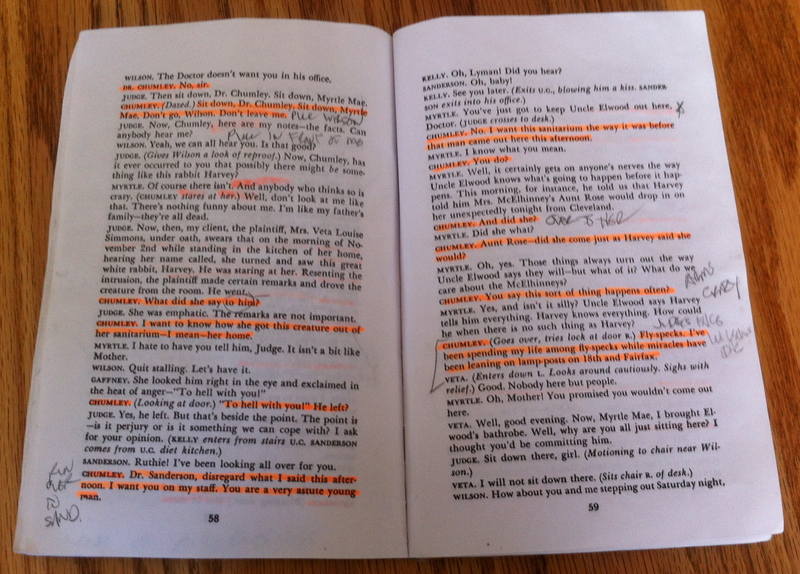 Yes, a script is important…telling the playwright’s vision for a story… but it also represents very clear limits. It’s actually rather confining. Dr. William Chumley, my character in “Harvey,” is required to speak certain words in a certain order with certain emotion and no variance. I have yet to do that exactly the same way twice. Shame on me. But does saying “sort of man” instead of “kind of man” really affect the playwright’s vision? I don’t know but I’m willing to debate it. 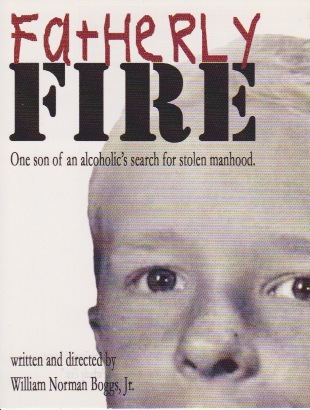 And I have written a script myself, actually six of them, for my fatherlyFIRE play a few years ago. Strange, maybe…since these are essentially scripts I wrote about my own scripted life. A scripted life with a script about that scripted life. Whew! No wonder scripts drive me banana nut. And by the way, that happy ending I invented in my fatherlyFIRE story…I rewrote that final script about my script to create what wasn’t there…to avoid the reality…to pretend and convince others to pretend. I think I was trying very hard to play God and speak into existence what I desperately desired. No! Wrong direction. To all who saw the fatherlyFIRE performance, I apologize. And I promise to correct my error and tell the plain truth. That Camelot must come down. I much prefer truth. Even when it’s painful. Scripts are good and bad but always too much like that goofy apparatus used for those pitiful pony rides at carnivals. The poor critters are fastened to poles at very close intervals and are expected to tromp slowly around their circular script, er, I mean their well-worn track. A few months ago I helped granddaughter Grace, a horse lover, saddle up on one of those. She was delighted and that made me smile, but I couldn’t help thinking about the five ponies in front of us. I pictured myself as one of them, just as harnessed to an ultra-restrictive script path. It was then I wished I was a horse whisperer. I wanted to offer my empathy with the ponies’ plight and help them plan an escape. There I was, one of the Canadian ponies on the run, seeking political asylum at the Old Friends Farm for Retired Thoroughbreds in Georgetown, Kentucky, USA. Oh, what? We’ll get them in. Reminds me of that song, “Cows with Guns.” Yep, my brain does weird things sometimes. You can find that song on iTunes. Go ahead. Listen. I won’t tell. Scripts are overlays with titanium-like strength. They are too often contrived and represent containment, not unleashed creativity. They are more like a cage, not freedom. There can be multiple layers of different scripts piled high one on top of the other creating further restriction. No room for thought, no room for decisions, no chance for new paths or risk or reward. Just like the ponies…mindless plodding. Circling the same track time after time with no choices to consider. A disconnected brain, a numb autopilot. No! No. No. I am yearning to break free, longing to know who I am without a script, longing to know myself and to confirm I have value solely for who I am, not what I do. Yes, God loves me for exactly how He created me, but can other humans love me solely for who I am? Or do I have to follow a script, travel certain paths to have value…to be loved? Not sure, but hopeful. No coloring book is safe! 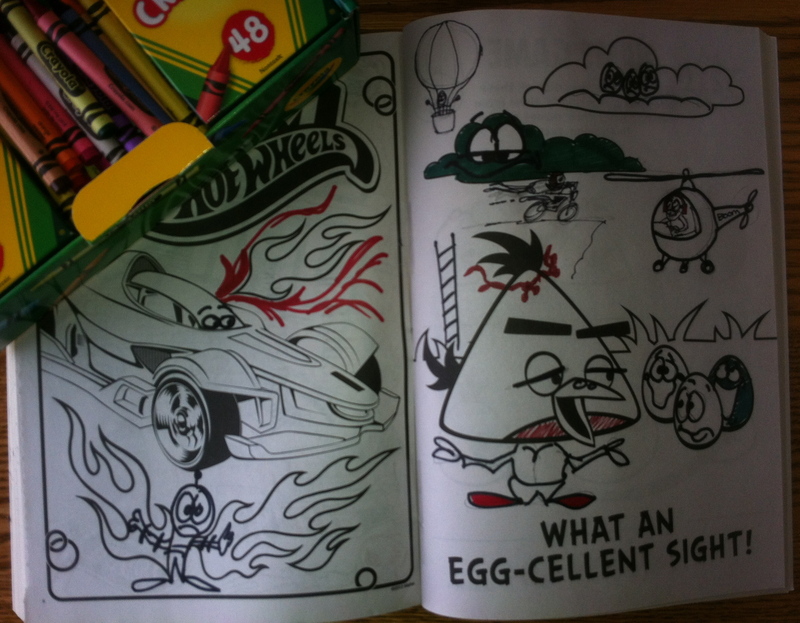 I have created here my own mutant Angry Birds-Hot Wheels opportunity to ignore the lines. I especially like the cloud monster, helicopter, and the little Icarus guy now wearing Hot Wheels flames for wings. Where did they come from? So here’s me. I don’t even like cruise control in my car. I prefer variety (in some areas), not drone-like monotony. I want to think and create. I want my brain engaged and roaming about under power, not in some kind of lobotomized neutral. I want to see and interact with my surroundings. I want awareness of and appreciation for my environment. Scripts are like pages in a coloring book…empty outlines with no color and I never wanted to stay within the lines. Having no script might be called improvisation, a frightening theater concept for many actors. In improv, actors take the stage and wait for little more than a concept or word to bring to life. They take that and create a story on the spot, an ultimate example of literally thinking on one’s feet. Many times it falls flat, failing to do anything but bore or annoy its audience. Other times, it’s hilarious. Occasionally, it’s powerful. Some actors are obviously better at it than others, but even the good ones have plenty of misses. Still other actors won’t even try improv. Why? Because a script provides security. Not having one…it’s like doing a circus high wire act without a net or hopping on an Evel Knievel motorcycle and roaring up a ramp into thin air. Something from nothing is what I call the essence of creativity. Having no script declares a confidence or at least a reckless abandon. It is daring. And potentially terrifying. Having no script offers a high probability of failure. It encourages exploration, a widening of my normal scope. A willingness to learn who I really am and embrace myself. Over the last 18 months or so, I have begun to do that. So far, so good. No. So far, well, so far. So who writes these scripts? How do they become imposed onto my life? There are many authors—family, society, culture, church/religion. As I think about my own life, I have always followed a script, or multiple scripts. And mostly I have chosen to add them to my own life, I think motivated at least partly by fear. There’s the “child of an alcoholic” script, a studied and well-defined set of expected behaviors for me to follow. Layered on top of that one is the “child of divorce” script and the extra-dramatic “abandonment by my father” script. Those three combined create a script worthy of Stephen Spielberg himself…here it is…the “victim” script. With these, I’m expected to struggle in life, never succeed, give up, and die alone. Tragic. Thankfully, I didn’t follow this victim script out the door, although the dialog written in it can still be read and certain things trigger a release of the words and stage direction and I’m back in the “Life as a Loser” play starring Bill Boggs. I give a very dramatic performance in that show. No rehearsal needed. Other scripts got overlaid on top of the “victim” script in my life. I began to plod along in a hybrid but convoluted path. Almost simultaneously, I began trying to following two more specific scripts…one from the United States Marine Corps and the other from The Navigators. Both were exciting to me at first…two highways in a clear road map to manhood, something I desperately desired. Yet they conflicted with each other, as the military and the ministry, and they produced conflict within me. When scripts are in conflict…it is not only stifling but stressful and frustrating, removing the normal “benefit” of the mindless bliss of script following. No way to win. I couldn’t give myself unreservedly to either, though they both helped me escape the “victim” path, replacing it with a much more positive direction. Okay. Thanks. 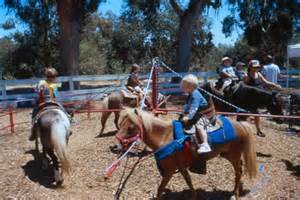 Around the pony ring I went for years. As I clomped along, more scripts were installed. One for family and one for work. Work. Don’t get me started. Maybe I’ll ask my new friend Thoreau to help me here. Henry? “But men labor under a mistake. The better part of the man is soon plowed into the soil for compost. By a seeming fate, commonly called necessity, they are employed, as it says in an old book, ‘laying up treasures which moth and rust will corrupt and thieves break through and steal.’ It is a fool’s life, as they will find when they get to the end of it, if not before.” –Thoreau. Am I saying work is wrong? That I regret working these many years? No. By no means. I am saying that my work has cost me. Greatly. “A fool’s life?” Well, maybe things could have been different. “Most men, even in this comparatively free country, through mere ignorance and mistake, are so occupied with the factitious cares and superfluously coarse labors of life that its finer fruits cannot be plucked by them. Their fingers, from excessive toil, are too clumsy and tremble too much for that. Actually, the laboring man has not leisure for a true integrity day by day; he cannot afford to sustain the manliest relations to men; his labor would be depreciated in the market. He has no time to be anything but a machine.” –Thoreau. I do not have a lot of leisure for a “true integrity day by day” and I have not had much “time to be anything but a machine.” Just like the ponies in the ring. 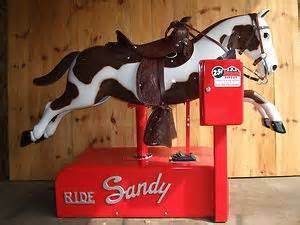 That live pony Grace rode was no different than the coin-operated “Sandy” pony ride at the local Meijer store or the one on the Great America Carousel. The live one had little advantage…only eating and un-eating. The combination of scripts for my life, including the work one have set me on a path that has provided for my family and for me but also stifled me, busying me in the “factitious cares and superfluously coarse labors of life that its finer fruits cannot be plucked…” And I like fruit. Especially peaches. Never was this clearer or more painful than when I was confronted by one of my sons a few years ago. He expressed his disappointment in me, that I had settled for work roles that were clearly not in line with my gifts and abilities, that I had not set for him an example of finding fulfillment in my work. Instead, I merely showed him how to dutifully follow a script. I didn’t really understand his point then. I do now. And I couldn’t be prouder that I somehow raised a boy with the wisdom to figure that out and the guts to look me in the eye and say so. Thanks, Son. So. It’s time to start peeling off layers. Some of these scripts are pressed deep into me…removing the pages still leaves an imprint. Old scripts don’t seem to dissolve but stay in place like an extra-indelible Sharpie marker after grandson Josiah finished his own unscriptedness on the dry erase board. With each layer comes less freedom and more missed opportunities. Fences after fences with no gate and I forgot how to jump. Yet scripts are not evil. They are “safe.” They keep everyone happy and make few nervous. All expectations comfortably met. No. No. It just is not human. But I don’t know. Maybe part of the 56-year old American male script is to question scripts during the last summer days of his 56th year. Maybe the shrewd and subtle unknown scriptwriter has created this mental loop-the-loop to actually keep me on the script, carefully nailing every last word and eye movement just like Dr. William Chumley in “Harvey.” Whoa. I’m scaring myself now. Do I choose no script? Would I? Shall I re-frame my life as improv? Maybe just a minimal script? Set my heart and mind free…to think, act, and love? It sounds so good. Still I wonder how that pony Grace rode at the carnival would behave if he was set free. Could he function? I think so. I hope so. But maybe not. Today I am making a conscious effort to recognize and rip away every last script in my life. I want to live a day without one. I want to say hello to William Norman Boggs, Jr. and take inventory of his traits, his heart, his desires, his direction. And then I will carefully choose my life concept, a new kind of script, more like improv, an outline, a minimalist structure, a concept or word. Room for thinking, movement. Yet me operating without a script or at least ignoring the script seems unsettling for other people. They seem to want me to just shut up and follow the plan. They don’t want to have to think about my long hair, my Mustang, my writing, or my scooter. Some even comment on my failure to tow the line. Why is that? And whose line is it…mine, theirs, or something else altogether? “The greater part of what my neighbors call good I believe in my soul to be bad, and if I repent of anything, it is very likely to be my good behavior. What demon possessed me that I behaved so well? You may say the wisest thing you can, old man — you who have lived seventy years, not without honor of a kind — I hear an irresistible voice which invites me away from all that.” –Thoreau. Hmmm. I wouldn’t think my Evangelical script could have found much agreement with transcendentalist Thoreau. Today, I do. Actually, quite a bit. Here, I think the operative concept is “what my neighbors call good.” I hear that “irresistible voice.” I do repent of my choices to blindly follow what others call good. God gave me a mind to figure that out and I haven’t used it effectively. I repent. You might then ask what God’s role is in all of this. I am a Christian after all, which, yes, I admit brings with it still another script. But I believe God offers far more freedom for my life than anyone is comfortable admitting. My brief experience piloting a Piper Warrior airplane last year brought the scripted and scriptless together. For the preflight inspection, there was an absolutely stifling script in minute detail right down to examining each wing rivet and the fuel color. I thought the instructor wanted me to taste the airplane gas…drained some in a clear plastic cup and handed it to me. While I waited for him to give a toast in some kind of fly-boy ritual, “Lord, guard and guide the men who fly, through the great spaces in the sky…” Not P.C., but it works. I realized I was just supposed to carefully examine the color. A blue to match my eyes, it was. It is important to match one’s fuel color with one’s eyes. Unless they’re brown…that’s trouble. Do something. Checked and double checked. All systems go. But once in the air, there was scriptless above-the-road freedom like I’ve never experienced with only one warning–stay out of Midway Airport’s way. Fair enough. Safety parameters first….then great freedom. At one point the instructor even had me take my hands off the controls as he was doing the same. Wow. I like that combination. With God and the Bible, I have basic parameters to help me avoid obvious ditches but after that…freedom to choose. Liberty. God let Adam name the animals (a task I would had enjoyed way too much, by the way). Gave him the job and let him figure it out. And voila! Aardvarks and rhinoceroses. You go Adam. No strapping up to a pony pole for that guy. I know, I know…he really messed up later. Gives me hope. “The mass of men lead lives of quiet desperation. What is called resignation is confirmed desperation. From the desperate city you go into the desperate country, and have to console yourself with the bravery of minks and muskrats. A stereotyped but unconscious despair is concealed even under what are called the games and amusements of mankind. There is no play in them, for this comes after work. But it is a characteristic of wisdom not to do desperate things.” –Thoreau. What does all this mean? I don’t know. I am partial to minks and muskrats, but I don’t have a script. I know I don’t want to lead a life of “quiet desperation” anymore. I don’t want a quiet anything. I want to restore and enhance the “play” in my life. To work in a new way. To find the courage to employ wisdom. Will I have the strength to resist the scripts? I don’t know. I’ve always believed, though, that the presence of a struggle is evidence of growth. I’ll cling to that. And all this script talk implies another troubling thought…that I am merely an actor on some kind of stage. An actor…playing a role or roles? I don’t like the sound of that. Dr. William Chumley and Rev. William Miller aside (I’ve been typecast as “William” I guess), I don’t want to settle for just playing a role in my life…I just want to live it authentically. Fully. Robustly. In some ways, I know these words are different than others I have written lately. Good. These words are different but they are also a summary of many previous blog posts including “One Clown’s Tears,” “Some Really Despair of My Hair,” “Scooter Manhood,” “Barnstormin’ Billy,” “Staging A Return, “and “Orphanity.” Oh. I didn’t get another “Line Notes” email from the stage manager after last night’s rehearsal. I must have either been dead on the script or so far off she couldn’t get it all written down. 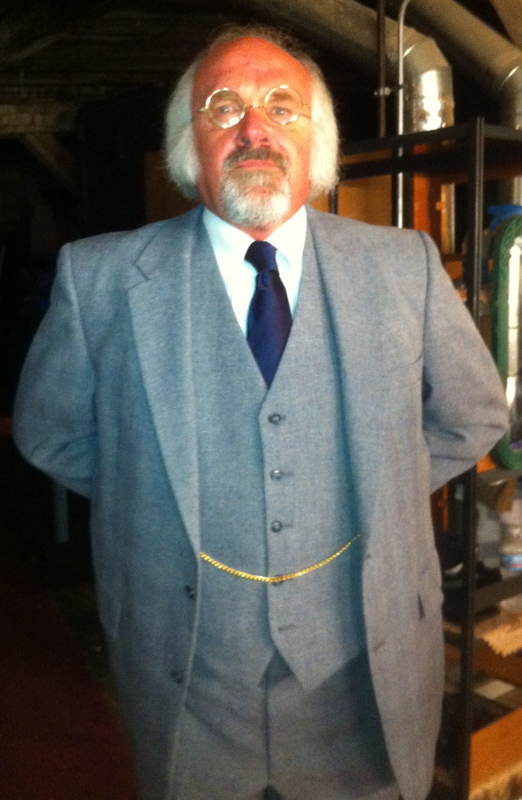 Either way, “Harvey” continues its run the next two weekends at the Albright Theater in Batavia, Illinois. I’d love it if you could come take a look. I’ll go on stage and follow the script as best I can in spite of myself. And be positively nuts. For me, I just want to stop being confined by scripts and instead confine the scripts to the stage. All new. Born in truth. Coming soon. Thank you, Valerie! I appreciate your thoughtful insights. Especially the time you obviously gave to trying to understand me and relate to me. I know you can! On the phone the other day you sounded like you’d touched a real idea with this post. After actually reading it, I’d say so. I’m going to throw a quote or two on the pile, but not to “add” something, just to share sources, other metaphors for the same idea of losing life to a script-self. This idea: “The immense majority of human biographies are a gray transit between domestic spasm and oblivion” (George Steiner, In Bluebeard’s Castle). As you guessed, I liked the Thoreau bits. Especially: “Most men, even in this comparatively free country, through mere ignorance and mistake, are so occupied with the factitious cares and superfluously coarse labors of life that its finer fruits cannot be plucked by them.” The trembling fingers seem significant. “Try for a moment to accept the idea that you are not what you believe yourself to be, that you overestimate yourself, in fact that you lie to yourself . . . That this lying rules you to such an extent that you cannot control it any more . . .
As usual, Jonathan, you have brought remarkable wisdom and insight to the topic. I love how you think….I love your intelligence and thoughtfulness. That you read and reflected on my words, and brought added illumination honors me. Yes, you heard me and understood. “You will see that you are two” — yes, that is right on target. As is “why were you not” William Norman Boggs? Thank you!